I met Frank Sinatra in the late 1970’s. He and his wife had a few of us college kids come to a bedroom at a party to thank us for being in the vocal group that sang at his mother’s funeral service that year in January 1977. The party was a Christmas Season celebration at the house of the president of College Of The Desert, Palm Desert, CA. The vocal group was called The Ensemble, directed by Dr. John Norman, affectionately known as Doc. I just saw Doc at his house a few months ago. The Ensemble, an elite 16 member vocal group that you had to audition for to get into was asked to learn a few pieces of music including Hello Dolly within a couple days and perform them in a large church at Frank’s mother’s funeral. It was quite an experience. There were large men wearing long trench coats lining the inside of the back wall of the church. Frank looked like he was grieving deeply. We felt odd singing Hello Dolly, but learned that Frank usually sang this song for his mother, Natalie “Dolly” Sinatra at his concerts. Frank was great friends with my stepfather actor Richard Conte. I was so star struck when I met Frank (much to my surprise) that I didn’t even tell him of my relation to his late friend Richard, or Nicky as his friends called him. 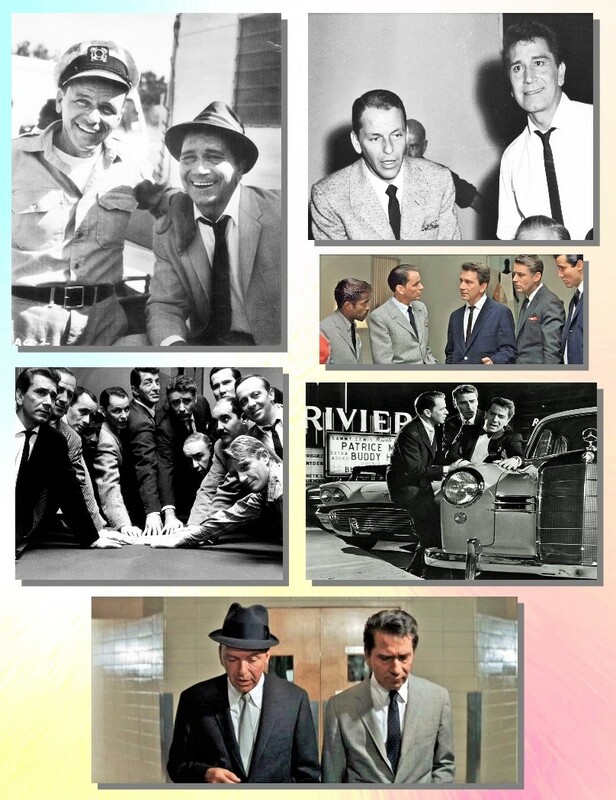 Here’s a collage of photos of Frank and Richard, some of which came from Richard’s personal collection.